Before I get started, I just want to share that I’m on vacation for an entire week! Obviously, I really needed it because my mood improved more and more on Friday as it got closer to quitting time. I’m looking forward to this week of sleeping in, spending time with my puppies, writing, and dancing! For the last few weeks, I’ve been going to these Sunday social dances. They are hosted by a friend of Teacher’s, owner/creator of freeballroomlessons.com. If you’re in or around Orange County, California, you should check out these events. Sundays 3-6pm at the Dance United LH studio, right now only $10! There are at least three professionals (two guys, one girl) at the parties every week and plenty of experienced amateurs. So more advanced dancers, you’ll have your choice of partners that know more than the basic steps. And just beginning dancers, you’ll have plenty of partners that will be able to guide you and make sure you have a ton of fun! Oh, and I’ll be there to greet you at the front desk! Be sure to save me a dance! Full disclosure: I do work at the parties, helping with setup and cleanup and checking people in, but I wasn’t paid or even asked to advertise them. I’ve just really enjoyed these parties, and I want to spread the word so others can enjoy them too! I love that they’re in the afternoon/early evening, since I get up at 5am for work on Monday (except this week!). I can stretch the weekend a little longer with a few hours of dancing and still get home in time to relax or take care of whatever weekend chores I didn’t finish. Perfect! For me, these social dances are a great way to break up what feels like a long stretch between my standing lesson on Friday and the next one on the following Wednesday. I don’t have the money to attend other parties or group classes, so I feel grateful and blessed that the opportunity came up for me to be a part of these Sunday socials. I am also discovering that dancing at these social dances may help me improve my performance at competitions! Performance is my greatest challenge in ballroom, with my demons always ready to deliver an overdose of fear, self-doubt, and anxiety. The only place I ever found my demons didn’t affect me (besides at home by myself) was dancing in a night club. I can’t hear the demons’ jabs in such a dark and loud environment, so I am free to let my true dancer self out and just move to the music. While the music isn’t so loud and the lights are only dimmed, the social dances provide enough of a similar environment that I don’t feel as self-conscious when I’m dancing. There is more of a freestyle element to the dancing as well. When I’m asked to dance by someone, I don’t know their skill level or what moves they might lead me in. I just have to react to whatever they lead. And if something goes wrong, I can just improvise to get back on track. It’s not like we’re being judged! Now the moves aren’t as big or precise at a social dance, but I think the consistent weekly exposure to this kind of dancing will help if/when I compete again. It’s a matter of building up the number of dance experiences where I mess up but recover with a laugh and keep going. Every social dance I attend is another opportunity to see what styling comes out when I’m relaxed and just enjoying the dance. Bonus for me: Teacher is one of the professionals that attends the parties. It’s always nice to get a few extra practice dances in with the partner you compete with. But I immediately noticed that I was more self-conscious dancing with Teacher than anyone else at the party. Nothing personal, Teacher. I think it’s just because he is my teacher and competition partner. So a screw-up with him can be a teaching tool at our next lesson. That should be a good thing, but I feel more pressure to not screw up because those mistakes won’t always just disappear and be forgotten after the song ends. My focus starts to turn to the correctness of my dancing rather than the enjoyment. On the other hand, I will specifically ask Teacher to dance a song with me because I want to work on that dance. Our lesson on Friday focused on foxtrot, and so I asked him to dance a foxtrot with me at the social because I wanted to follow up on what we worked on. I also ended up with my own notes for our next lesson. Now I said it was a bonus for me that Teacher attends the parties, despite the self-consciousness and focus on “practice” rather than “party.” Even though I feel extra pressure to make sure my technique is correct and my frame is at its best while dancing with Teacher, I’m also getting the chance to dance with him in that club-like environment where I can’t hear my demons. Which means opportunities to let the performer in me try things I would be too afraid and too harassed by my demons to try during a lesson. There are also opportunities to dance something that we don’t compete in. I think my most comfortable dance with Teacher this past Sunday was a salsa. 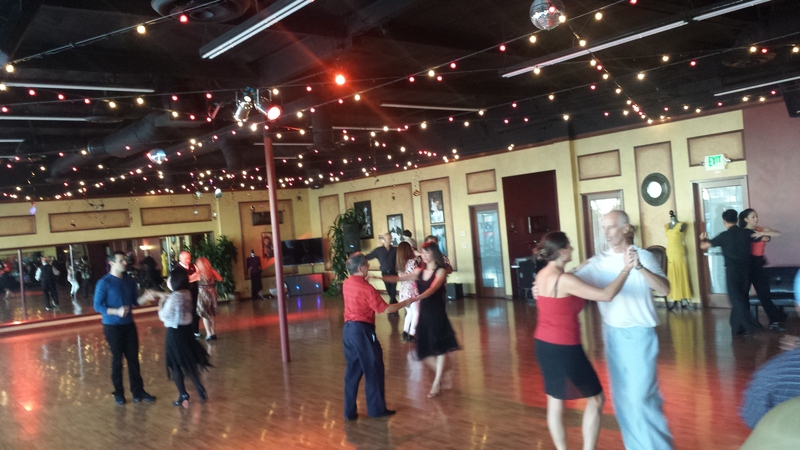 I go to clubs to dance salsa, when I can afford cover, and have held my own with a number of advanced salsa dancers. So I’ve built up some confidence in this dance. That plus the fact that Teacher isn’t training me in this dance, and so the mistakes won’t come up during our next lesson, allows me to just dance. 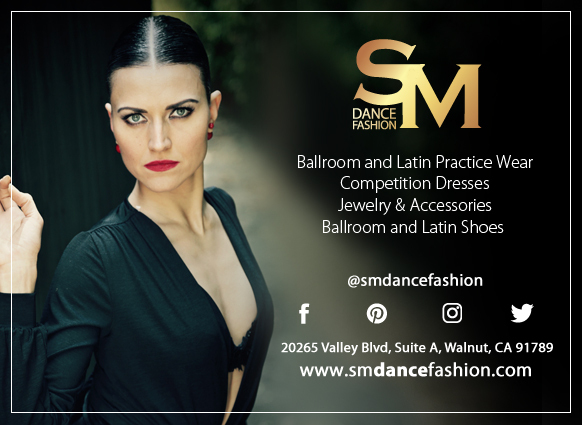 Even though we don’t compete in salsa, or even rhythm, more experiences just dancing with Teacher can only help me to quiet the demons and work toward feeling comfortable in bringing more performance into the dances we do compete in. Because I care so much about being the best ballroom dancer I can be and my demons play on that desire, it is easy for me to focus on what is wrong and needs to be fixed about my dancing. Teacher’s opinion is tied to my perception of my skill, but unfortunately, my fears of rejection and abandonment, as well as my trust issues, often drown out his insistence that I’m a good dancer and again focus my view on the mistakes. I stay guarded and afraid to push myself because I don’t want to make that one mistake that might cost me our partnership. It sounds extreme but, as I’ve written before, dancing has a way of bringing out all of your deepest, darkest insecurities and fears. I embrace this aspect of dance because it’s only when those insecurities are exposed can they be addressed. The social dances are giving me an alternate avenue to work through my performance anxieties. While I try my hardest to hear Teacher when he is doing his best to reassure me that nothing bad will happen if I express myself more in dances during our lessons, the bright lights and quiet music in the studio make my demons sound louder in my head. But if I take the opportunity every week to express myself more during the social dances, when I can’t hear my demons, I will build up my own repeat evidence that nothing bad will happen. Maybe it’s the natural high I’m feeling from being on vacation, but I’m excited to see how much of my guard I can take down and to feel less fear over performance! Stay tuned!